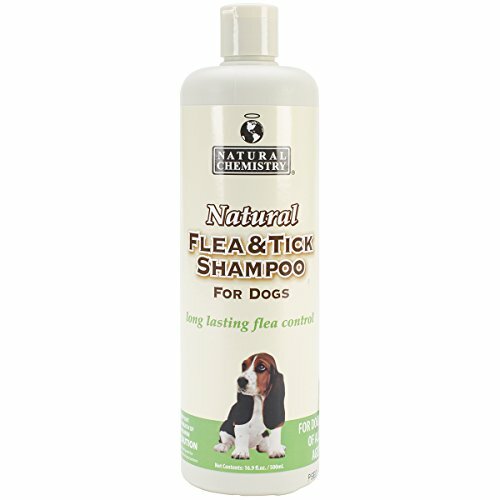 11000 Features: -Natural flea and tick shampoo. -Kills fleas and ticks on contact. -Patent pending botanical formula. -Natural botanical extract product that contains no pyrethrins. Product Type: -Shampoos. Pet Category: -Dogs. Primary Color: -Browns. Generic Dimensions: -Weight: 1.2 lbs. -8.5'' H x 2.5'' W x 2.5'' D. Dimensions: Overall Height - Top to Bottom: -8.5 Inches. Overall Width - Side to Side: -2.5 Inches. Overall Depth - Front to Back: -2.5 Inches. Overall Product Weight: -1.2 Pounds.